Buying Or Selling Management Rights? Coming from a background in the real estate industry and property market, assisting with the sale and purchase of properties, it seemed a natural progression for Sharon to undertake post graduate legal studies with her dream to one day open her own law firm specialising in property law. 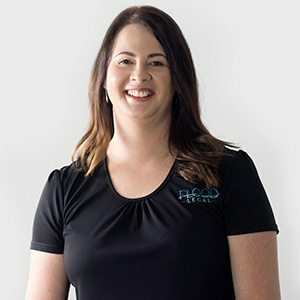 She graduated in 2006 with first class honours from Bond University and commenced her legal career at a firm she was employed with for nearly a decade specialising purely in property law. Fast forward to 2015 and with 10 years dedicated to the management rights industry, having acted for some of the largest management rights acquisitions in Australia and being recognised as an expert in her field that dream became a reality. Throughout her years of experience, Sharon has worked in all areas of property law, acting for large scale consortiums, companies, partnerships and individual operators in transactional and advisory matters. Her experience in these transactions provides her clients with a breadth of commercial and legal experience across all areas of property law. 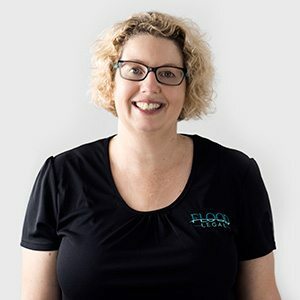 When coming up with the focus and vision for Flood Legal, it was inevitable she chose to continue specialising in property matters and servicing the management rights industry. 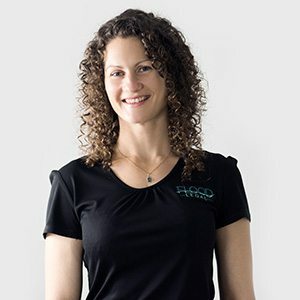 Sharon doesn’t take the typical passive approach most lawyers do, she provides her clients with not just high-quality legal advice, but also plays an active role in their property and business transactions, taking a real interest and personal involvement in each and every transaction. Having previously run his own successful business in the building industry for over two decades Daniel has a huge amount to offer our clients. His experiences have provided with him with an in-depth understanding and knowledge of the ins and outs of the building industry, making it easy for him to relate to clients. Daniel has always held a vested interest in the property industry, having previously been an auctioneer, purchasing and selling many properties himself, overseeing the building of several homes and also developing small scale land developments. Trish is our Senior Lawyer. 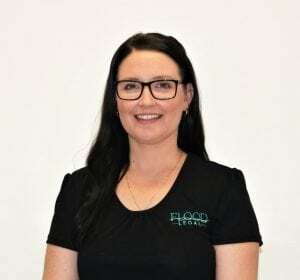 She has over 8 years of experience in the following areas: managing the sale and purchase of hotels, motels and caravan parks; strata and body corporate matters; property conveyancing; leasing; and wills and power of attorney. Trish is a dedicated lawyer who has developed a strong number of client relationships. She ensures she is always available to her clients and strives to provide them with advice which is easily understood. Brit is our Senior Paralegal. She comes with a wealth of experience in management rights having worked within the industry for over 18 years. Brit is extremely passionate about delivering a high level of quality service to clients on each and every transaction she is involved in. Her experience is second to none and clients often provide feedback on how easy she is to deal with making their experience when purchasing or selling management rights that much less stressful. 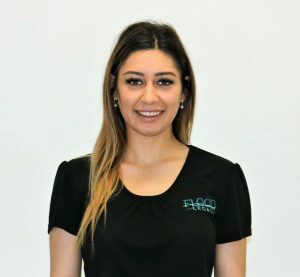 Kylie is our Operations Advisor. Having worked in the finance industry for close to 15 years she has a special interest in applying best practice across our systems and technology to always ensure the delivery of quality client services and communication. Working closely with Sharon (Director) and Daniel (Operations Manager) her focus is to continue to grow and develop Flood Legal within our local area. Melissa is our Conveyancing Paralegal. 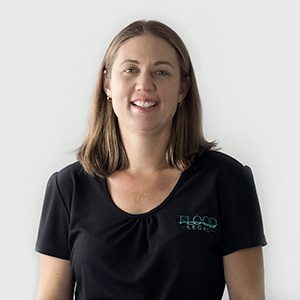 She has worked within the industry for over 7 years and is experienced across both New South Wales and Queensland conveyancing laws. Melissa works closely with Sharon (Director) and Trish (our Senior Lawyer) to ensure all conveyancing matters run smoothly for our clients. Teisha is our Trainee Receptionist. Teisha is currently completing her Certificate III in Business Administration. 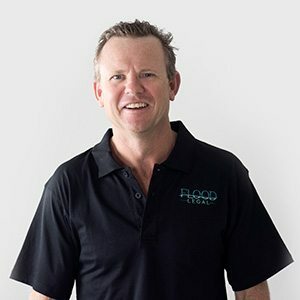 Flood Legal offers big firm experience and expertise in Property Law while offering the accessible, friendly and affordable service that can be offered by a small law firm. Flood Legal Pty Ltd - ACN 602597839 - Liability limited by a scheme approved under Professional Standards Legislation. Legal practitioners employed by Flood Legal are members of the scheme.